"Our car won 2nd place in the scout theme cat. Thanks to these Tiger stickers"
This dry transfer Tiger decal nearly jumps off the page at you! Includes 5 tigers, front car grill with headlights, tiger claw stripes, 4 tiger eyes and racing beams. High quality, dry transfer decals that you just rub on for quick, easy application. No cutting! Would buy again. Great product. Great service. I received the order way before it was scheduled. The decals were amazing and my son loved it. These decals are easy to install and peel. I would say let the scout do this part, they have smaller fingers. Very fast service. Received decals within just a few days. Instructions were easy to follow for the Tiger Claw car. Being this was mine and my sons first time ever doing it--- that was a huge help. The decals put him over the top and he won the best scout design car in his whole pack because of it. 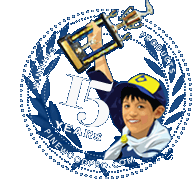 Thanks Pinewood Pros!!! Our car won 2nd place in the scout theme cat. Thanks to these Tiger stickers.